I'm pleased to be getting quite a few hits, over 1500 at the moment. I've only recently noticed that the download link didn't work. I'm not sure why, probably just rubbish hosting. New links here and here just to be sure. 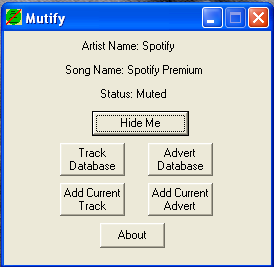 There will be a new version Mutify soonish but its getting fairly tricky so probably on the longer side of soon.